Former Leeds and Liverpool forward Harry Kewell has been appointed head coach of Crawley. Kewell was in charge of the Watford Under-23 team from June 2015 before leaving Vicarage Road last month. The 38-year-old is currently working on his UEFA Pro Licence coaching qualification and will be assisted by Warren Feeney, the former Northern Ireland striker. "During his interview Harry showed us great passion - that's needed to make this team move onwards," Crawley director of football Selim Gaygusuz told the official club website. 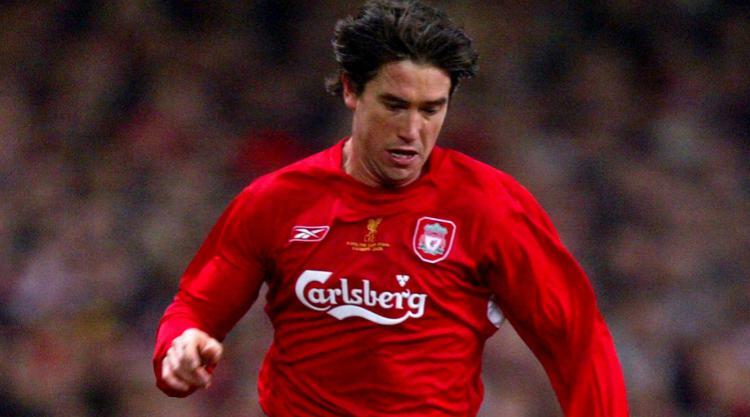 Sydney-born Kewell played in two Champions League finals for Liverpool and also at two World Cup finals for Australia, for whom he won 56 caps. He joined Leeds in 1995 and made his first-team debut in the Premier League at the age of 17 the following year. Kewell was named PFA Young Player of the Year in 2000 and scored 63 goals in 242 appearances for Leeds before joining Liverpool in 2003. Two years later he became the first Australian to play in the Champions League final when Liverpool beat AC Milan on penalties. He was an FA Cup winner in 2006 and played in his second Champions League final in 2007 when Milan defeated Liverpool. Kewell left the Reds in 2008 after making over 100 appearances for the club. He finished his playing career at Galatasaray in Turkey, Qatar and in his native Australia. Kewell will be unveiled by Sky Bet League Two outfit Crawley at a press conference on Friday.